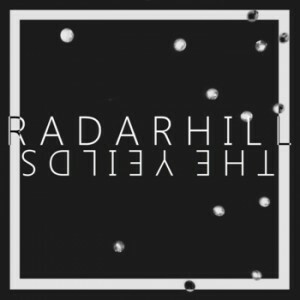 Home > Live Jazz Shows > Radarhill – "The Yeilds"
Local “NewMusic/FunCore” quintet Radarhill is celebrating the physical release of its full-length debut album The Yeilds with a Release Party performance at Wild Goose Creative, 2491 Summit Street, on Saturday, February 7th (doors at 7pm). There is no cover, and the event is BYOB. This show, which is the second installment of the band’s quarterly residency program at Wild Goose, will also feature opening sets from Triangulus and Small Songs, a new project from saxophonist Alex Burgoyne that I saw debut back in November. There will also be an art installation by local artists Shawn Gossard and Dave Ulmer, so get there early to soak it all in and buy a CD. This latest multi-faceted presentation should be an appropriate backdrop to celebrate the band’s (Jordan Reed on saxophones, Nick Simko on trumpet, Caleb Miller on keyboards, Eli Chambers on bass, and Troy Kunkler on percussion) achievement of an excellent debut recording. The Yeilds was recorded in the summer of 2014 at the Ridges Auditorium in Athens, a session I discussed with Reed at the time. The album is eleven tracks long, featuring five full-length tracks interspersed with six musical interludes that serve as palette cleansers while also highlighting individual members of the band. This approach to sequencing helps setup the full songs as individual works of art, and also intensifies the group’s interest in creating drama through quick changes and intense buildups. The band’s mission statement of “aiming to bridge the gap between the conservatory and the local dive” is present in all of the material, as classical structures collide with horn parts reminiscent of party bands, and somehow it all flows together rather well. Coming out of a quiet opening, Simko and Reed play buoyant unison parts on “Lanes Merge” that merge (sorry) with Miller’s intent work on the keys while the rhythm section provides the bedrock that keeps it all together through breakdowns and solos. “Hostage/Ransom,” one of the band’s first compositions, retains its cinematic majesty in the studio version, with quick transitions that allow it to play out like a miniature film with a resounding climax. The tune is followed by “Anteater” (the only back-to-back sequencing of full-band songs on the album), jolting to life with a pulsing combination of trumpet and tenor sax before darting back and forth and concluding with another joyous swell of sound. There are sounds and styles here to interest fans of most strains of jazz and modern music, but these elements are deftly meshed together into full pieces that convince the listener to sit back and enjoy the entire work as it was intended.